Today I found out about a man who saved over 2 million lives just by donating his blood plasma. Australian James Harrison is known as “the man with the golden arm” due to the unusual composition of his blood. Harrison’s blood contains an antibody called Rho(D) Immune Globulin which is used to treat Rhesus disease, a severe form of anemia where antibodies in a pregnant woman’s blood destroy her baby’s blood cells. James Harrison may never have discovered this if it were not for the fact that when he was 13 in 1949, Harrison had a major chest surgery. The surgery required transfusions of almost three-and-a-half gallons of blood. 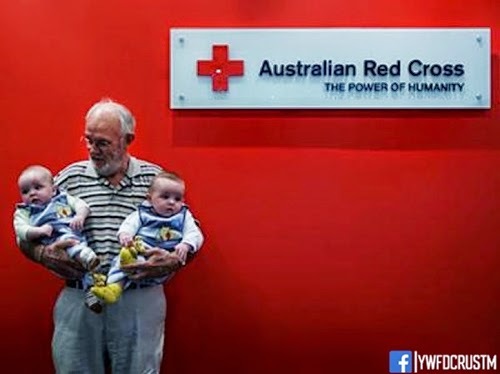 During the three months he spent recovering in the hospital, grateful for the donated blood that had saved his life; he pledged to start donating his own as soon as he was legally old enough as a way to pay back the kindness of the strangers who donated the blood he used. In 1954, when Harrison turned 18 and started giving blood, it was quickly discovered that his blood contained a rare, very valuable lifesaving antibody that could be used to treat Rhesus disease. At that time, Rhesus disease was killing thousands of babies per year (around 10,000 annually in the U.S. alone), as well as causing major birth defects such as brain damage. Most people (about 85%) have a special protein in their blood cells called the Rh factor, which makes them Rh positive (positive blood type); the remainder, who lack Rh factor, are called Rh negative (and have a negative blood type). Women who’ve been pregnant may remember the Rh blood test, which screens to detect any incompatibility: If [mother] is Rh-negative and baby is Rh-positive, [mother's] body will react to the baby’s blood as a foreign substance. Mother's body will create antibodies (proteins) against the baby’s Rh-positive blood. Rh incompatibility is more likely to cause problems in second or later pregnancies when Rh antibodies can cross the placenta and attack the baby’s red blood cells leading to hemolytic anemia in the baby. Luckily, if an incompatibility is found early on, there is a prenatal treatment (Rh immune globulin) that will prevent any problems before they start. This works by introducing antibodies that will attach to Rh-positive red blood cells. This effectively makes it so the mother’s immune system won’t detect and then try to destroy them. 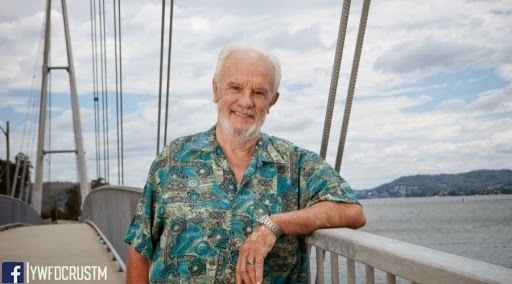 When the discovery was made about Harrison’s blood, he agreed to undergo extensive tests and experiments that eventually led to the development of a vaccine called Anti-D. Harrison said he was eager to help but some precautions were taken in case something happened to him during the testing. “They insured me for a million dollars so I knew my wife Barbara would be taken care of. I wasn’t scared. I was glad to help,” Harrison said in a 2010 interview. Besides letting himself to be used as a guinea-pig in the development of the Anti-D vaccine, Harrison has donated an extreme amount of plasma. Plasma can be given every two to three weeks, unlike whole blood, which is only recommended to be donated every six weeks. This allowed Harrison to donate over 1000 times in the 57 years he’s been doing it. He has continued to donate since he reached 1000 donations in 2011. It is estimated Harrison has helped save about 2-2.5 million people so far. Among that number, his own daughter, Tracey, had to have the Anti-D injection after the birth of her son.